After my last blog post in which I addressed the issue of believers abandoning going to church on a Sunday in preference for watching a football match, I tossed and turned most of the night. I kept asking myself how believers could do this. I could not understand how even pastors are now joining in this revelry with a clear conscience. I mean, how? I was sure that the football craze that had engulfed this generation is only a symptom of a greater disease. But what was that disease? That is the question I was wrestling with. By the time the sun rose, I think that I had an answer. The best way to phrase it is by the title of this blog post: We have lost the sense of God. I know that this sounds like an outlandish accusation but that is because we are comparing ourselves with ourselves. Hear me out. There is an experiential knowledge of God that profoundly changes a person from the inside out. God is known in the soul in such an overwhelming way that it affects a person’s entire perception of life. It is perhaps what the hymn writer meant when he wrote, “Turn your eyes upon Jesus. Look full in his wonderful face. And the things of this earth will grow strangely dim, in the light of his glory and grace.” The things of this earth growing strangely dim. A Christian can never rise higher than his experience of God. God is infinitely profound. As one hymn writer has written, he is an immeasurable sea without a shore, a blazing sun without a sphere. When engulfed in his presence, whom thousand and tens of thousands of angels worship day and night, the soul can only lie in the dust in adoring wonder. This profound knowledge brings eternity to bear on the soul of a believer so that everything in his life is judged from eternity’s perspective. How one spends his time and money, how one enjoys his recreation, how one relates to believers and unbelievers, how one handles his work—all these are subjected to eternity. The great Day of Judgment is never far from mind. There is, therefore, a godly gravity upon the brow of such a believer. Perhaps it would be better to call it a solemn dignity. You cannot miss it when you are in the presence of such a person. You sense that there is a depth of spiritual experience that is not disturbed by what often excites the worldly mind. It is the difference between the stillness of a deep river and the noisy current of a shallow stream. This cannot be manufactured overnight. It comes from regular close dealings with God. The sense of God leaves an indelible mark upon the soul. I am sorry to say that as I mingle with the younger generation today, I cannot help feeling that this culture of deep meditation on God has been largely lost. There is too much noise. Noise from the television, noise from the radio, noise from the internet, noise from the smartphone, noise from the computer, noise from the sports stadium—noise, noise, noise. The injunction of Scripture seems to be largely missing that says, “Be still and know that I am God. I will be exalted among the nations. I will be exalted in the earth” (Psalm 46:10). Our young people always want to be with the bawling crowds and where the music is loudest. The result has been a tragic loss of this weighty sense of the living and majestic God. Even when it comes to church…there is very little pausing for a moment of silence to prepare the soul to meet with the living God. You have a band that is already playing as people chat. The worship leader starts with jokes to get the atmosphere exciting. The songs are painfully repetitious of next to nothing—“God brought me from here and has taken me there,” over and over again! The preaching is also deliberately calculated to bring people back next week rather than to bring them face to face with the living God. Hence the preacher behaves more like a superstar than a prophet from God. Can such gimmicks surely give us a sense of God? I recall my own formative days that were spent mostly in the pew than in the pulpit. There were many Sundays when all I wanted was to shut out the world after worship at church and close myself up with the God. Glorious hymns had extolled the immensities of sovereign grace. I had heard God’s voice, especially through the faithful exposition of his word. I had been moved to the very depth of my being. I had seen the heinous ugliness of sin and the magnificent beauty of my Saviour. The powers of the coming age had overwhelmed me. I had been transported, as it were, into the third heavens and back. I felt as if I would burst at the seams if I did not go away from everyone to worship and pour my heart out to God—to the living God. Tell me. Please tell me. How can a person experience this and then shoot off to the stadium and join the rowdy crowd shouting at people chasing a ball? I mean, how? O for a generation of young people who will once again have the atmosphere of eternity upon their souls. O for a band of young adults who will have a profound sense of God that will make them to cry as Isaiah cried, “Woe is me! For I am lost; for I am a man of unclean lips and I dwell in the midst of a people of unclean lips; for my eyes have seen the King, the LORD of hosts!” O for authentic biblical Christianity to once again permeate our churches. When God raises up such a generation, we will rest assured that the future of the church militant is in good hands, for the people who know their God will do exploits for him. Until then we should weep in prayer and refuse to be comforted. We have lost the sense of God! Very worrying trend. May God come to our aid. Thank you for the insightful and fitting rebuke. As a young person, I do desire to know God experientially and I try to seek Him through His Word and prayer but I find Him elusive. Maybe our 'microwave' society has tuned me to expect that this experience of God comes quickly and upon God noticing the faintest efforts on my part. Other times I feel like my efforts in His Word are sincere but that I can never reach that threshold of holiness that has ushered others before Him. But the funniest thing is looking at the lives of Jacob and his Son's, they really werent the most impressive of people but God in His grace befriended Jacob. He said if you seek me you will find me if you search for me with all your heart - what if i lack the capacity to reach that - all my heart- especially with such a wayward heart. My brother, your deep seated thoughts are a true reflection of the reality of the 'current' Christianity at play. In a nutshell, we have under-evangelised, we sold the message of Christ short, we have under played the knowledge of salvation, we have used religion as a scapegoat from facing reality and the things of this world... The message of Jesus Christ is a radical message that transforms the life...in this I mean the whole mindset.. Few, including Pastors, Reverands, Bishops, Priests and whatever you may wish to call them, have experienced the life changing message of Jesus enough to take a 'stand'. It may be the reason why they find themselves seeking pleasure in stadiums or noisey churches where the mind is clouded with sensuality and killing off the still small voice (the Holy Spirit) that connects us to our maker..
Where do we find our moments of pleasure and revelling? 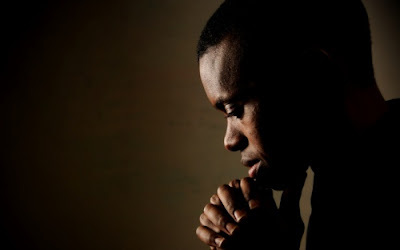 The parable of the prodigal son shows us that the life of a christian can be sad... the father to the prodigal son was sad (he lost his son for a 'season'), the older brother to the prodigal son was sad (he lived a life trying to please his father but at the sound of a party at home it angered him even more), and the prodigal son himself was absolutely sad/miserable in his Fathers house...it took a harrowing experience in the 'world' to engage with himself... I see too many miserable Christians who do not know how to engage their own lives... Look to Jesus, the author and finisher of our faith (the things we hope for, the pleasure we want, the revelling we badly desire).. There is joy in serving the Lord.. Thank you very much for the stirring article. As a young person i can say that this is definitely true of me and my peers. But seldom do we enjoy such mighty experiences of the truth of God as you did whilst on your pews. Rarely do we have face to face examples of men who really walk with God. It's often a depressing thought, but I pray God will look upon is with mercy and visit us with the latter and former rain. Thank you pastor, for this much need exhortation! Oh, Sovereign God, have mercy on us unbelieving generation! As a young man, it is my prayer just as Paul prayed for Saints of Ephesus that God will help us to grow in knowledge of him and the hope that is in Christ Jesus! A soul-searching article that awakens the fire within. Thank you for such a much-needed, timely reminder and rebuke, brother! I couldn't agree more. May God, in His will, revive the Church. Fanny Crosby hymn is my prayer. Through eternal years the same." Thank you for putting into words that which I have been troubled with for some time. It's remarkable that, from half-a-world-away I can so entirely relate to what you wrote, particularly as you described your own experiences of an experiential relationship with God. Our concerns are yours; so are our prayers. Well said Brother. I have been blogging the same on Public Media for decades. Sad that churches choose to ignore the beautiful old hymns, which are steeped in theology, for the inane alleged 'praise' songs. It once was that the "word" alone won souls for Christ. Now we get very little of the Word. Brother, I don't think this is just an issue with the young people, but with the church at large. I cannot speak to the atmosphere in Africa, but in America, the irreverence in the culture has led to irreverence in the church. There is no longer any fear of God in the eyes of most church goers. As a young man I to would add that it's really heart breaking days we live in but our God who never sleeps no slumbers has kept a people for Himself be encouraged people of God, Our God still reigns! To go to church or watch football?